Robin and I watched South Park last night. I was laughing so hard, Robin, not so much. That is because she does not watch 24 like I do. They did a great job of parodying / lampooning 24, down to the Cicso phone ring tone. 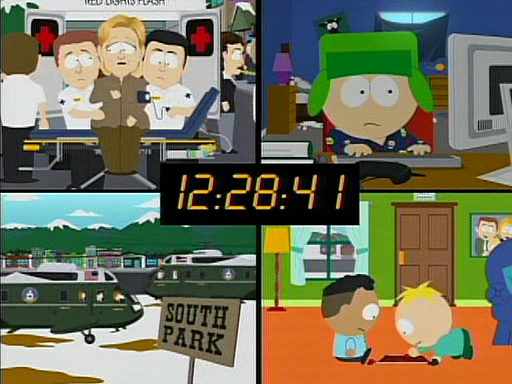 The role of Jack being played by Cartman. If you did not catch it last night, watch for it on re-runs. Better yet if you have a friend that can get it to you DVD (wink,wink) be sure to let them know.